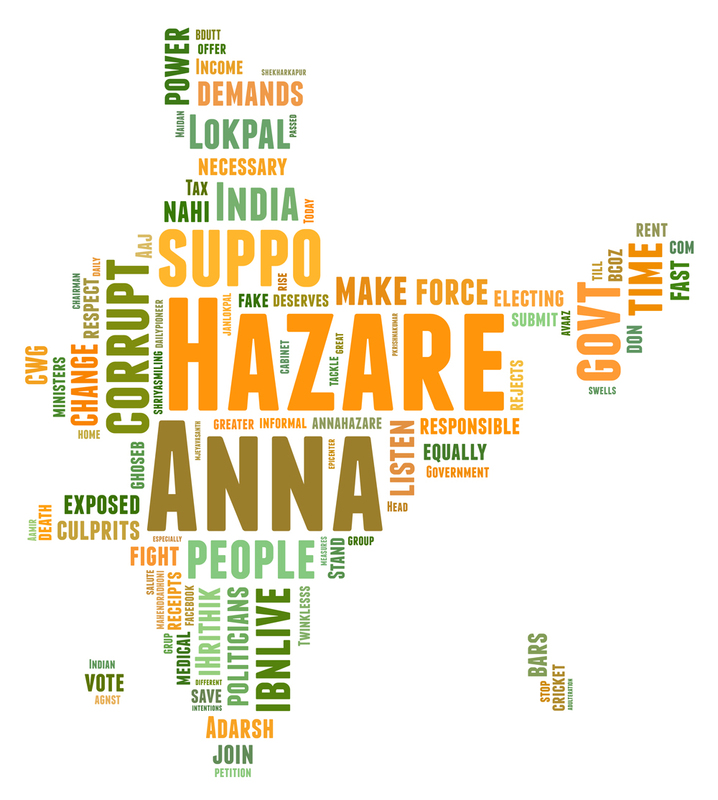 The Jan Lokpal Bill or the Lokpal Bill and Anna Hazare have undoubtedly been the most discussed topics in the country this past week. The concept of Lokpal was introduced as early as 1968 and was passed in the Lok Sabha. However it was never implemented since it was never approved by the Rajya Sabha. Public support for the bill started gathering only this past one year after a few social activists led by Anna Hazare took up the Cause. I agree with the criticisms on the bill being naive or not mature enough in its approach to combat corruption. Yes- if the bill comes into place, then it could tackle corruption to some extent. The decision makers would not be politicians but representatives of the people. The bill makers promise a transparent process for election of the leaders of the anti-corruption body. Complaints of the people can be addressed much faster and the punishments and judicial proceedings would be much quicker and efficient. But then-Is it wise to leave the powers of addressing all issues on corruption to a handful of individuals (Who are even above the Judiciary and Prime minister in corruption related issues)? Such a body would require a lot of people appointed at various sub-levels for its smooth functioning- so can we be sure that there would be zero corruption at each of these sub-levels? While the Bill promises to pick only people with no political connections- can we really keep a check on this, and monitor to ensure that there is no political influence at any stage? And though we claim that the introduction of such a bill would help curb coruption-are We, as responsible citizens ready to stop paying and taking bribes?? Each and Every one of us have definitely seen or experienced corruption at some level. How many times have each one of us paid the policeman hundred bucks to escape getting a parking ticket, or paid the guy in the village office or civil station some money to get our job done quicker, or atleast seen someone pay a bribe to avoid getting into trouble? I believe that the best ways to tackle the issues of corruption would be to address the root problem issues-Thanks to the milling population, every place-be it the hospital, police station , passport office or the corporation office are crowded all the time. ( The passport Office opens at 9am, and when I accompanied my granddad to get his passport renewed, We reached there by 8am only to find that there were already 65 people ahead of us in the Queue 😐 !) The officials in the offices are pressed for time and the laws of the land are such that every document requires some 3-4 signatures from various authorities, in the application form too besides other places, and approvals and re-approvals(which means a lot of running around; I had a whale of a time getting an address proof for my driving License- i think I could write a whole post about it :P). This is where the vicious circle of corruption and bribes come into play- Some money and sweet-talking, and your work gets Top priority, in fact officials even go out of their way to help You; leading people to think-Hey why not just pay up this bribe and get done with it sooner(Who wouldn’t want to finish their task in one shot rather than make 4-5 trips to these offices and wait in the Queue for half the day just to be greeted by some smug official who tells you that You’ve photocopied the wrong documents :D) . My point is- Why not just simplify these processes? If we can try to minimise the interaction between the people and these offices,that could go a long way in bringing down corruption. Why not computerize these processes-that would simplify them to a large extent and make the whole process much more transparent and faster. The staff in these offices also need to be trained to be more punctual and efficient and not be tempted by bribes. Civil Citizens of the nation have to be educated to be more patient, and wait their turn(We indians seem to be a rather undisciplined race, who have to often be reminded to form a queue rather than barge our way in; We want our work to get top priority, but fail to realize that the guy in front is as busy, if not busier and has the same 24 hours in a day). And all this should ideally be done without disrupting the current machinery and functioning rather than bringing in another new body to manage these issues. Oh well! The Government now seems to have agreed on the Lokayuktas and some aspects of the Bill. Anna hazare says half the Battle is won. Let’s wait and see what happens next :)! meera…dat was brilliantly written….u seem to have better solutions by ur side!!! loved it!! !